The Economic Partnership Agreements between the European Union and the Africa, Caribbean, and Pacific (ACP) countries have drastically restructured Europe’s trade architecture towards the third world. This volume examines the consequences of EPAs for development in sub-Saharan Africa (SSA). Starting from the observation that the establishment of free trade as such will substantially impact upon economic development, the different contributions focus on the potential contribution of non-traditional aspects of EPAs. More specifically, the authors analyze the role of Aid for Trade schemes, regulatory integration issues and broader foreign policy considerations. 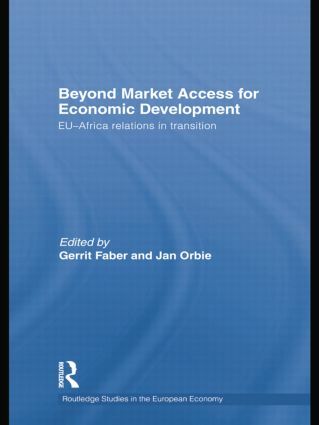 How can these non-market access aspects stimulate development in Africa, and how have they been addressed in the EPAs? In short, this brings us to the question whether the ‘light version EPAs’ as they currently stand are a missed chance or a blessing in disguise? EPAs between the EU and Africa: Beyond free trade? The EU’s insistence on reciprocal trade with the ACP group: Economic interests in the driving seat? Part II Spurring regional integration? Labour rights in EPAs: Can the EU–CARIFORUM EPA be a guide?